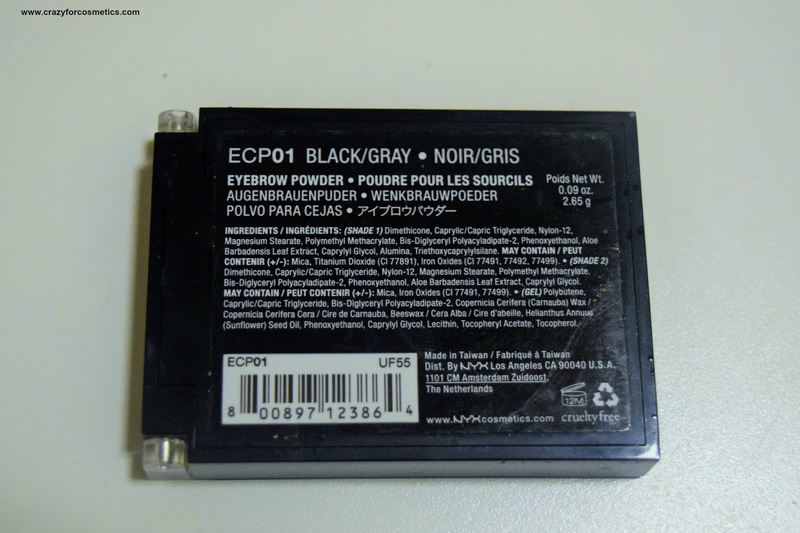 The eyebrow powder comes in a small , compact container with a black , a grey and a cream base to hold the lashes in place. 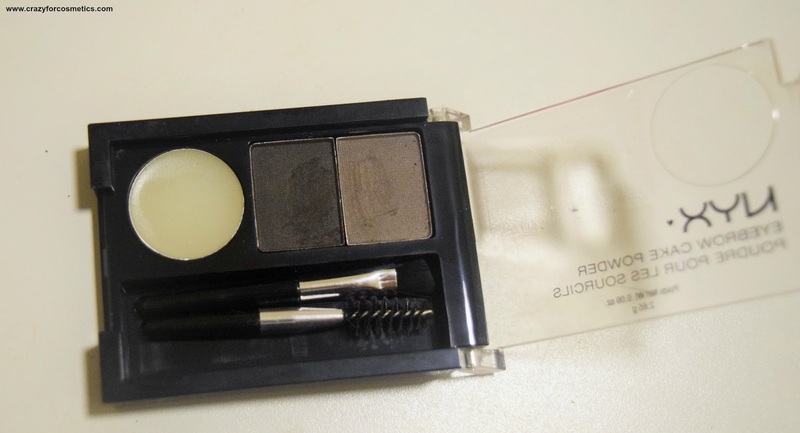 The kit also has an eyebrow filling brush and a spoolie to shape the brows. The eyebrow brush has thick bristles and it might not be ideal for thinner regions of the eyebrows. I prefer using a thin slanted brush to fill the sparse areas and then shape it using the provided brush. The black shade is ideal for Indian dark eyebrows because the shade is neither too dark nor too light. 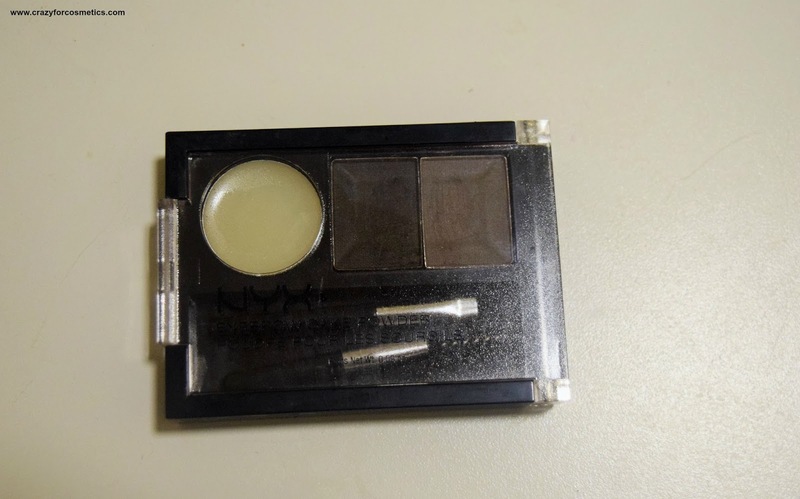 The grey is of no use to me and the white cream is ideal for holding the eyebrows intact to create a defined brow. I first use the cream base to gently shape the hair and then draw the outline using a pencil. Once the shape is defined, I then fill up the eyebrows with the black powder to give it a fuller look. The powder does not have any fallouts and the powder stays intact for about 4 to 5 hours after which the gaps begin to appear again in my brows. I would use an eyebrow powder only for certain important occasions wherein I would not mind if it disappears after 4 to 5 hours. 1 : Well pigmented shade. 2 : Has a brush & spoolie in the kit. 3 : Has an eyebrow gel to set the hair in place. 1 : Grey shade is not useful for Indian skin tone.